It’s been a while since I’ve had much to say about Port. We drink Port wines at home on a regular basis and the stuff we drink is the stuff that is the bones and muscles of the Port wine trade. We drink Colheitas and Tawnies, White Port (yes, there is such a thing and it can be delicious with a squeeze of lime and a splash of tonic), Reserve Ports and Late Bottled Vintage (LBV) Port (especially the traditional unfined, unfiltered, bottled-dirty like Vintage Port styles) and even Crusted Ports as well as some properly aged Vintage Port (usually above legal drinking age). But all of this (except the Vintage Port) is the quite delicious and even essential but maybe a bit mundane (in a comfort food kind of way) everyday wine that, along with the cheap and cheerful rubies and tawnies (which I don’t drink at home but do cook with) make up the bulk of the Port wine business. So where does Vintage Porto fit in? Vintage Porto? Why “Porto?” Why not just “Port?” Because Port has become a generic term indicating a wine of the style(s) made in Oporto (the actual name of one of the two cities at the mouth of the Douro river. Oporto is on the north side of the Douro and Villa Nova de Gaia is on the south). 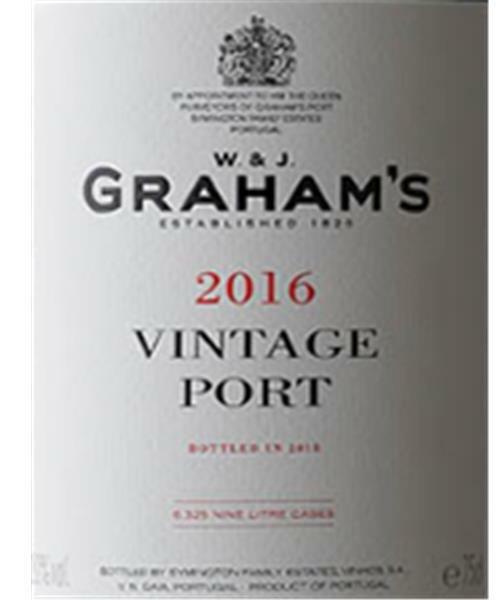 Because the Port producers couldn’t win against the generics using their name, they changed the official names of all of their wines to Porto (which they registered and protected before using it) to distinguish authentic Port wine (now Porto) from imitations from elsewhere in the world. Simply put, Vintage Porto is the best bottle-aged sweet red wine a particular “house” (the preferred term for a Port producer) can make. The wines are made from the best grapes from the best vineyards. They are bottled about 18 months after the harvest and immediately released to the market. This is the earliest bottling of any red wine in the Port wine trade. A number of houses will declare a vintage several times in a decade. When they declare a vintage, they are essentially guaranteeing that (assuming proper handling and storage) the wine will still be good after it has aged 20 years. However, when we talk about Vintage Porto, we are not referring to every vintage-dated, early-bottled Porto wine made by any Port house in any year. Rather, we are talking about those vintage-dated, early-bottled Port Wines made in years (usually years 2-or-3 out of a decade) declared as “vintage years” by the super-majority of Porto wine producers. These universally declared Vintage Portos are the heart and maybe the soul of the Porto wine trade so when one of these vintages comes along, it’s usually a big deal. 2016 is one of those universally declared vintages in Porto and it is a very big deal. If you google “2016 Vintage Porto,” you’ll see accolades from all the major wine press and glowing commentary from the owners and winemakers of the Port houses. They may not all be completely correct but the they’re all on the right track. I’m here to tell you that it is pretty much all true. 2016 is an exceptional vintage in the Douro Valley (where the grapes for Oporto wine are grown. And everyone from the staunchest “British-owned houses” to the lesser known Portuguese houses made at lest very good wine with rather a lot of it exceptional and even outstanding. I’ve tasted these wines so I can say that they’re all more than worth the money. I could give you tasting notes but they would all look very similar. Young Vintage Portos, even at a high-quality level, taste a lot alike. So, which are the best? You’d can’t go wrong with Taylor or Graham, Dow or Fonseca. And the Capella de Vesuvio was way beyond my high expectations. If you want to spend a bit less, Croft, Cockburn, and Warres may fit your bill. The Smith Woodhouse is delicious and is an incredible value. Don’t miss the half bottles and maybe a magnum to safe for a really special occasion. There’s something here for everyone.